Asteya is the Sanskrit term for "non-stealing". It is a virtue in Jainism and Hinduism. Asteya is considered as one of five yamas in the Yoga school of Hinduism, and as one of ten forms of temperance (virtuous self-restraint) in Indian philosophy. The practice of asteya demands that one must not steal, nor have the intent to steal another's property through action, speech and thoughts. Asteya is defined in Hindu scripts as "the abstinence, in one's deeds or words or thoughts, from unauthorized appropriation of things of value from another human being". 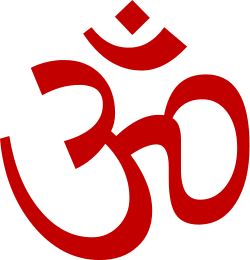 It is a widely discussed virtue in ethical theories of Hinduism. For example, in the Yoga Sūtras (II.30), Asteya (non-stealing) is listed as the third Yamas or virtue of self-restraint, along with Ahimsa (nonviolence), Satya (non-falsehoods, truthfulness), Brahmacharya (sexual chastity in one's feelings and actions) and Aparigraha (non-possessiveness, non-craving). Asteya is thus one of the five essential restraints (yamas, "the don'ts") in Hinduism, that with five essential practices (niyamas, "the dos") are suggested for right, virtuous, enlightened living. It is part of ethical theory in Hinduism. Sandilya Upanishad identifies ten yamas (forbearances, form of restraint) as a virtue in Yoga: ahimsa, satya, asteya, brahmacharya, daya, arjava, kshama, dhrti, mitahara and saucha. It explains asteya as neither taking nor coveting (wanting to take) another's property through the actions of one's body, speech, or in one's thoughts. Patañjali includes asteya in his five ethical precepts. The Epics too mention asteya (abstention from theft) as a virtue. For example, in Shanti Parva of the Mahabharata, asteya is declared as part of dharma and ten boundaries of righteous behavior. In Chapter 259 of Moksha dharma parva, the Mahabharata explains asetya, along with satya, ahimsa and other virtues, are necessary for the conduct of the affairs of the world. These virtues are part of dharma, the Epic explains, and conduct by everyone when consistent with such dharma produce happiness as its fruits. During anarchy, one thief appropriates what belongs to others. The same thief, explains the Epic, is upset and demands justice when other thieves, however, rob him of what he has acquired by robbery. This means the thief instinctively feels theft is wrong when he is the victim. Dharma cannot selectively apply or favor a few, it must apply to all. Indignation for offended rights of property and the virtue of Asteya (non-stealing) is thus a universal necessity of a good individual and good society, explains the Mahabharata. Numerous minor Sanskrit scholarly commentaries from ancient India also discuss Asetya. In the Saivite school, for example, Kaundinya's Pancartha Bhasya on Sanskrit scholar Lakulisa includes Asteya in its discussion and analysis of virtues. Hindu scriptures exist in many Indian languages. For example, Tirukkuṛaḷ written between 200 BC and 400 AD, and sometimes called the Tamil Veda, is one of the most cherished classics on Hinduism written in a South Indian language. It discusses the vice of stealing and fraud, dedicating Chapter 29 of Book 1 on Virtues to it. Tirukkuṛaḷ suggests fraud and stealing creates misery and poverty for everyone. Sivaya Subramuniyaswami translates Tirukkuṛaḷ's first three verses in Chapter 23 as: "He who wishes not to be scorned by others, guards his own mind against the slightest thought of fraud. The mere thought of sin is sin. Therefore, avoid even the thought of stealing from another. A fortune amassed by fraud may appear to prosper, but will all too soon perish altogether." Further, Tirukkuṛaḷ suggests that stealing and deception has a psychological impact on an individual; it states, "Men who know nothing but deception die a little, each time they contrive their crooked deeds". Non-stealing (asteya) is recommended as a virtue in Tirukkuṛaḷ. Asteya in practice, states Patricia Corner, implies to "not steal", "not cheat" nor unethically manipulate other's property or others for one's own gain. Asteya as virtue demands that not only one "not steal" through one's action, one shouldn't want to encourage cheating through speech or writing, or want to cheat even in one's thinking. Smith states that the virtue of asteya arises out of the understanding that all misappropriation is an expression of craving and a feeling of lack of compassion for other beings. To steal or want to steal expresses lack of faith in oneself, one's ability to learn and create property. To steal another's property is also stealing from one's own potential ability to develop. The Sutras reason that misappropriation, conspiring to misappropriate or wanting to misappropriate, at its root reflects the sin of lobha (bad greed), moha (material delusion) or krodha (bad anger). Gandhi held ahimsa as essential to the human right to life and liberty without fear, asteya as human right to property without fear. Asteya follows from Ahimsa, in Gandhi's views, because stealing is a form of violence and injury to another person. Asteya is not merely "theft by action", but it includes "theft by intent" and "theft by manipulation". Persistent exploitation of the weak or poor is a form of "asteya in one's thought". Dāna, that is charity to a deserving person without any expectation in return, is a recommended niyama in Hinduism. The motive behind Dāna is reverse to that of "stealing from others". Dāna is a complementary practice to the yamas (restraint) of asteya. 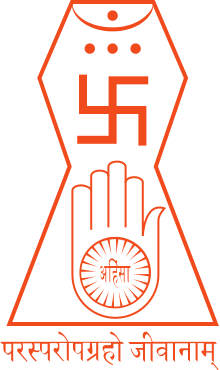 In Jainism, it is one of the five vows that all Śrāvakas and Śrāvikās (householders) as well as monastics must observe. The five transgression of this vow as mentioned in the Jain text, Tattvārthsūtra are: "Prompting another to steal, receiving stolen goods, underbuying in a disordered state, using false weights and measures, and deceiving others with artificial or imitation goods". Prompting a person to steal, or prompting him through another or approving of the theft, is the first transgression. The second is receiving stolen goods from a person, whose action has neither been prompted nor approved by the recipient. Receiving or buying goods otherwise than by lawful and just means is an irregularity or a transgression. An attempt to buy precious things very cheaply in a disordered state is the third transgression. Cheating others by the use of false weights and measures in order to obtain more from others and give less to others, is the fourth transgression. Deceiving others with artificial gold, synthetic diamonds and so on, is the fifth transgression. These five are the transgressions of the vow of non-stealing. Asteya and Aparigraha are two of several important virtues in Hinduism and Jainism. They both involve interaction between a person and material world, either as property, fame or ideas; yet Asteya and Aparigraha are different concepts. Asteya is the virtue of non-stealing and not wanting to appropriate, or take by force or deceit or exploitation, by deeds or words or thoughts, what is owned by and belongs to someone else. Aparigraha, in contrast, is the virtue of non-possessiveness and non-clinging to one's own property, non-accepting any gifts or particularly improper gifts offered by others, and of non-avarice, non-craving in the motivation of one's deeds, words and thoughts. 1 2 S.A. Jain 1992, p. 208.